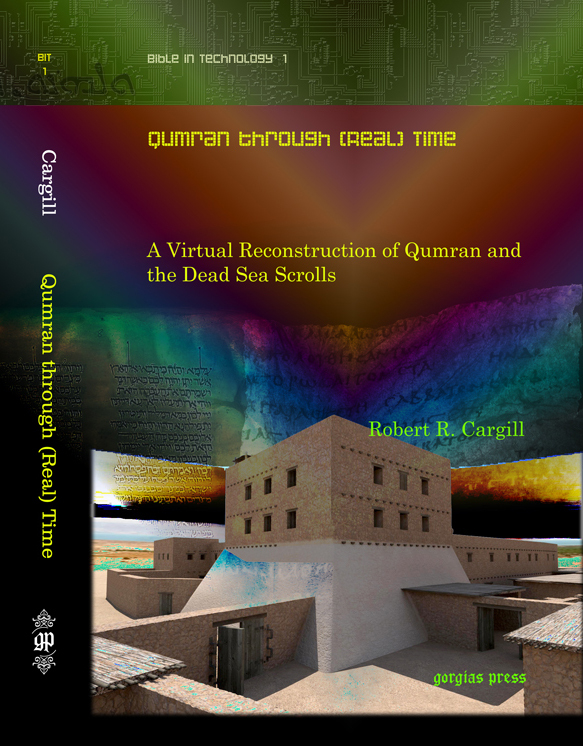 Yuval Baruch | XKV8R: The Official Blog of Robert R. Cargill, Ph.D. I just finished listening to Canadian talk show host Drew Marshall‘s interview with Simcha Jacobovici and Dr. Craig Evans. This was my first time listening to Drew Marshall, and let me say he was a gracious host, and yet he didn’t let Simcha off the hook (my only fish pun). He actually called Simcha on a couple of things, but of course, that didn’t stop Simcha from entering into his obstinate alternate reality and completely dodge the questions and spin some answer that only a six-year old would accept as valid. Listen to the interview. Read my marked-up comments. Please keep in mind that in addition to being Assistant Professor of Classics and Religious Studies at the University of Iowa, I am also part of the “Digital Public Humanities” consortium here at Iowa. This means that part of my job as a scholar (in addition to teaching and researching and writing and excavating with Dr. Oded Lipschits at Tel Azakah in Israel) is responding to claims made in the public sphere (and if necessary, critiquing them) that involve technology and the humanities (i.e., the Digital Public Humanities), particularly in the fields of religion and archaeology. Simcha Jacobovici’s latest Discovery Channel documentary, The Resurrection Tomb Mystery (alternatively titled The Jesus Discovery in Canada) makes a sensational religious/archaeological claim involving innovative technology directly to the public, bypassing scholarly conventions of peer-review in refereed journals and professional conferences. 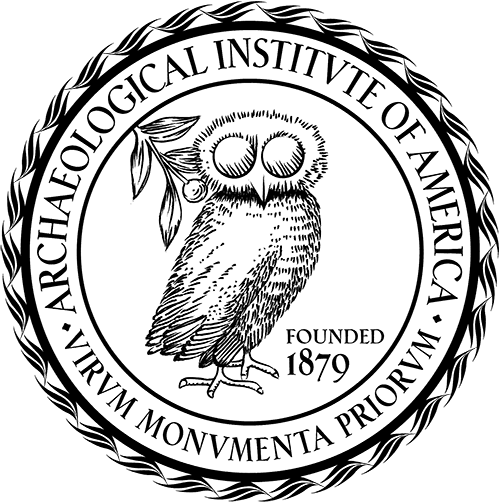 The above video is a critique of a publicly broadcast interview where filmmaker Simcha Jacobovici attempts to present ‘evidence’ for his latest pseudo-archaeological claim. “The image on ossuary 6 is not Jonah’s great fish spitting out a seaweed-wrapped head of Jonah,” says Cargill, who favors the Greek vessel interpretation. This is a typical example of how Simcha mishandles information. I obviously don’t agree with Simcha, but that doesn’t stop him from claiming I said: “This is important. This is different,” and spinning it into some kind of support for him. So there’s the joke that Simcha still does not realize the difference between a mention and an endorsement. I’ve addressed this elsewhere. Second: I about fell out of my chair laughing at Simcha’s insistence that his 6-year old daughter’s assessment that the image on the ossuary is a fish was the “ultimate test”. Then again, that fact alone really does explain a lot about these sensational claims. Forget scholars and trained professionals. We don’t need no stinking scholars! (Because we scholars disagree with his conclusions.) So, he turns to his daughter. And she accepts that it is a fish. Case closed. Again, the “Mishi Test” (his words (on multiple occasions), not mine) alone trumps all the education and all the scholars in the world. (BTW, and I mention this in the video: To be really honest, this is not a bad rhetorical tactic on Simcha’s part. Because now, if anyone ever calls Simcha on the fact that he consulted his six-year old daughter regarding ancient Jewish burial iconography, he can claim, “You’re personally attacking members of my family. How dare you!” or something like that. The fact that Simcha absolutely refuses (and says so in the interview) to see anything other than what he ABSOLUTELY MUST see in order for his speculative theory to work essentially explains everything you need to know about both Simcha and this entire project. 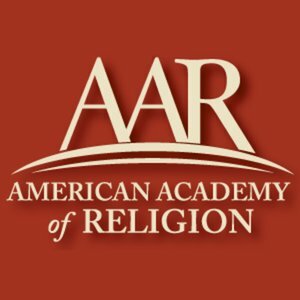 In the video, Simcha admits he is “not a theologian, not a Christian,” and of course, elsewhere has admitted he is “not an archaeologist, nor an academic.” (Simcha Jacobovici, “The Nails of the Cross: A Response to the Criticisms of the Film,” jamestabor.com, June 22, 2011, p. 45.) And yet, if any theologian, Christian, academic, archaeologist, or any one else trained in these fields suggests anything other than “it’s a fish,” Simcha will have nothing to do with it. That’s how desperate and precarious their theory has become…and the documentary hasn’t even aired yet. Do we really need to say more? 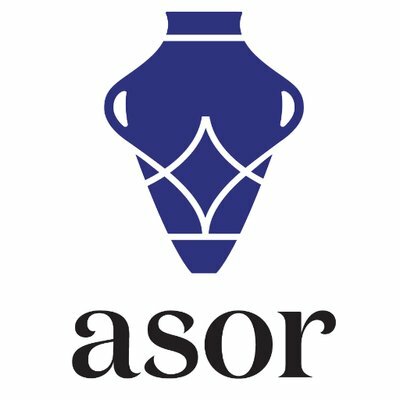 My colleague, Dr. Mark Goodacre at Duke University recently raised an interesting question regarding the invoking of the name of Princeton Theological Seminary Professor Dr. James Charlesworth in support of recent claims by Dr. James Tabor and filmmaker Simcha Jacobovici regarding their supposed “Jonah’s Great Fish” ossuary. Goodacre quite cleverly devised a synoptic comparison between Dr. Charlesworth’s own account of his first viewing of the so-called “Patio Tomb” ossuaries (as narrated in a letter he sent to the members of his Foundation on Judaism and Christian Origins), and the account as narrated by Jacobovici and Tabor on page 70 of their Jesus Discovery book. You can read Dr. Goodacre’s comparison here. How did Dr. Charlesworth interpret the inscription? How did Dr. Charlesworth interpret the image? “James Charlesworth of the Princeton Theological Seminary, who also consulted on the film, told Newsweek that the documentary makes a strong case for the biblical lineage, which is supported in part by archaeologists, historians, statisticians and DNA and forensics experts. “My judgment is that this ossuary does not belong to Jesus from Nazareth. Again, the names “Jesus” and “Joseph” are extremely common in the first century….” (emphasis mine). and the rather distant and ambiguous (albeit admittedly promotional) account from Dr. Charlesworth’s Mar. 31, 2012 letter to the members of his Foundation, I cannot help but ask whether or not Dr. Charlesworth is once again backing away from Simcha’s claims and conclusions, or whether he ever really supported them at all. The question becomes one of the difference between a “mention” and an “endorsement.” Mr. Jacobovici seems to consistently (and perhaps deliberately) confuse the two. In the words of Yuval Baruch, Jerusalem District Head of the Israel Antiquities Authority, “there’s nothing else like it on an ossuary.” We also found a statement of faith. But even if you say it’s not about resurrection, but some kind of exaltation or testament to an ascension of some kind, there is simply nothing like it on any of the thousands of ossuaries cataloged so far. Again, those are the words of Yuval Baruch. Great! They’re not digging illegally, but the IAA website still has no mention of Simcha other than a refutation of an earlier sensational claim Simcha made about discovering the nails from Jesus’ cross (Easter 2011). And they certainly do not agree with Simcha’s interpretation of the iconography or the inscription. Wonderful. It’s “significant.” They do have Jewish ossuaries after all. But, does Yuval Baruch agree with their conclusions? Does he? And, does referring to the image in question as “a Jonah image” constitute an endorsement? I, too, refer to it as “a Jonah image” (including the “scare quotes,” and I usually precede it with a ‘so-called’ or ‘purported’), but I am guessing few would interpret my referring to the vessel inscribed on Ossuary 6 as the “Jonah Image” as support for their conclusion. The question is: does Dr. Charlesworth agree with Simcha’s conclusions? If so, will he do so publicly and unequivocally? Again, describing something as “extremely important” is little more than a kind way of saying, “Great, you found many nice things.” Again, they did, after all, find ossuaries with an inscription and some engraved images on them. I’d call this “extremely important” as well. But the question is: does Dr. Crossan agree with their conclusions? Does it? Does it go on? Or is that all they’ve got? So far, the only people that have shown any support whatsoever for Simcha’s claims have received some sort of compensation for doing so, be it cash, honorariums, subsidized trips to Israel or other places, named consulting credits, on-air face time, co-authorships on books, or they work for Associated Producers, Ltd. I have yet to find (and have asked many times) a single scholar who has not been somehow associated with or compensated by Simcha Jacobovici that endorses or agrees with his conclusions regarding this tomb and its ossuaries. And since Barrie Wilson has been working on projects with Simcha, we are still left searching for a single scholar not working with or compensated by Simcha (or his company, Associated Producers, Ltd.) that supports his claims. Nothing they’ve listed thus far can be considered an endorsement, much less an agreement with their conclusions. Again, claiming something is “unique” or “significant” is NOT the same as endorsing or agreeing with someone’s conclusions. I’ve dealt with this before. It will be interesting to watch to see if Dr. Charlesworth publicly endorses Dr. Tabor and Mr. Jacobovici’s claims about “Jonah fish” and ossuaries, or if he comments about it as many critics have done. Will Dr. Charlesworth state unequivocally, “This is a representation of Jonah being swallowed by a great fish, which is a symbol for the resurrection of Jesus, meaning this is first century evidence of Christian belief in the resurrection of the very man Mr. Jacobovici claimed was dead and buried a few meters away only a few years ago. Likewise, the inscription says precisely what Dr. Tabor and Simcha say it says”? “What was it? What was depicted? What did the early Jew intend to symbolize? I am very, very curious to see if Dr. Charlesworth says what he says he is saying, or whether he says what Mr. Jacobovici and Dr. Tabor say he said. 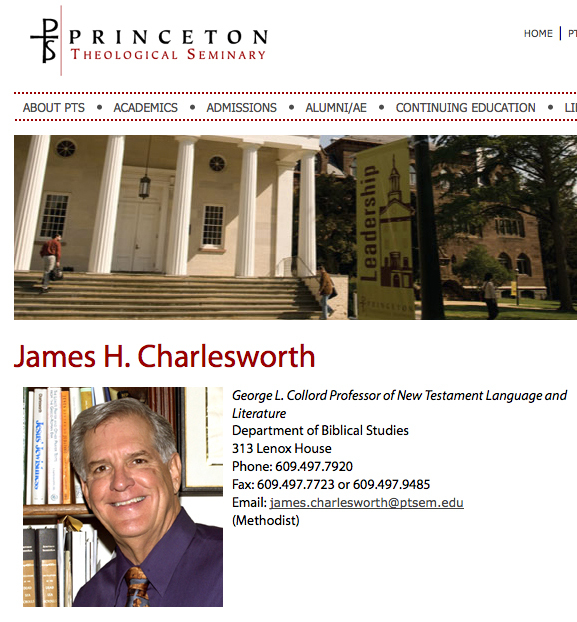 Will Dr. Charlesworth declare unequivocally that the image is, in fact, an image of Jonah spitting out a seaweed-wrapped head of a stick man Jonah? Will he even comment at all in the film about the so-called “Jonah image”? 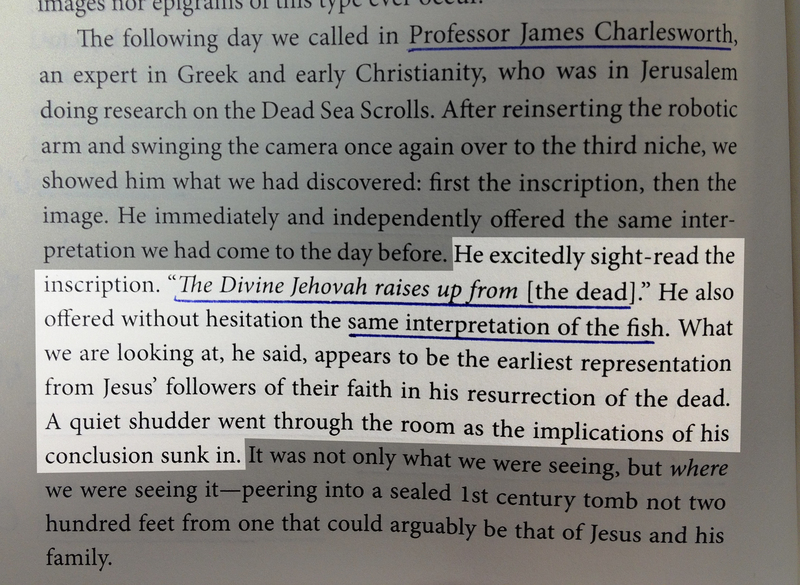 I am equally curious whether Dr. Charlesworth reads the inscription as, “O Divine YHWH, raise up, raise up!” or “The Divine Jehovah raises up to the Holy Place,” or “The Divine Jehovah raises up from [the dead],” as Dr. Tabor suggests, or, whether he suggests it says something else, (as others have suggested here and here and here and here). Does he see the tetragrammaton or not?